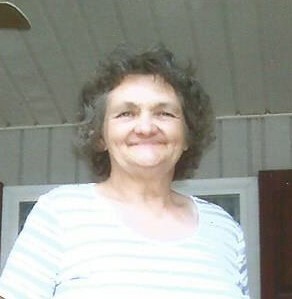 Phyllis Jean (Hughes) Morgan, Oliphant Furnace, Pa.
Phyllis Jean (Hughes) Morgan, 80 of Oliphant Furnace, Pa. passed away peacefully at home with her loving family by her side on Sunday, March 31, 2019. She was born December 23, 1938 in Georges Township, Pa. Preceding her in death were her parents, Maurice Tracy Hughes and Edna Lorene (Jordan) Hughes; brothers, Delbert, Marvin, Pete and Jerry and a sister, Virginia. Surviving are her husband of 64 years, Joseph “Poke” Morgan; four sons, Joe Morgan Jr., Wayne Morgan and wife Karen, Mark Morgan and wife Diana and Mike Morgan and wife Jenny; grandchildren, Jodie, Wayne, Chauncey, Samantha, Richie and Jessica; great grandchildren, Taylor, Bobby, Shannon and Payton; one great great grandchild, Amara; her very close sister and caregiver, Brenda Helmick; sisters, Susan Kelly and husband Ward, Connie Jordan, Sandra Wilson and husband Walter and Diane Russman and husband Eddie; brothers, Kenneth Hughes, Daniel Hughes, Randal Hughes and Rodger Hughes and wife Tammy and many nieces and nephews. Phyllis was a very loving person who loved and cared for everyone else more than herself. The family will greet friends and family in the Dean C. Whitmarsh Funeral Home, 134 West Church Street, Fairchance, Pa. on Tuesday from 2 to 4 and 6 to 8 p.m. and on Wednesday, April 3, 2019 until 10:00 a.m.
Interment will follow in Mountain View Memorial Park, Brownfield, Pa.
A Special Thank You is extended to Amedisys Hospice of Uniontown for all of the care given to Phyllis.